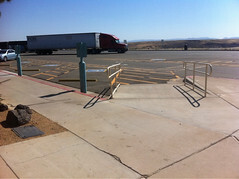 The Sunset Point Rest Area is a great scenic view rest area. It is shared by both directions of traffic. There are a good amount of handicap parking spots including 3 regular and 2 long motorhome style spots next to the main restrooms and another set of spots further down by the South facilities. The South facilities only have two single toilet restrooms and they are specifically for handicap, however they were closed and seem to be long term closed. The main restroom building has handicap stalls in the Men's and Women's restrooms as well as one Family/Companion restroom. I noticed in the Women's restroom they had the large handicap stall as well as the style slightly larger than regular stall with grab bars on bath sides. 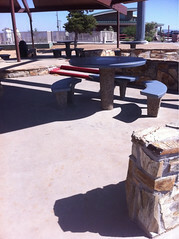 The Sunset Point Rest Area has several picnic areas. However, most is in stepped down areas with only one table being level with sidewalk, but this one table has an opening for a wheelchair roll up to it, although the tables seemed rather high. There is a sun dial memorial down a ramp as part of the view area. 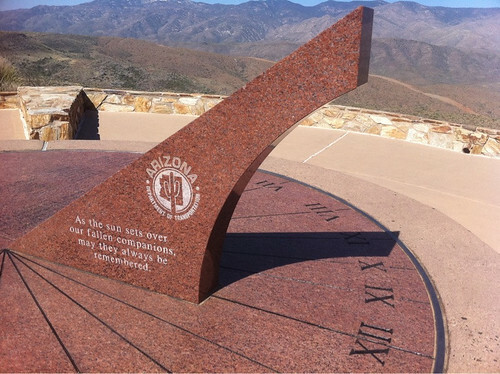 Overall Sunset Point Rest Area is a great rest stop, especially since there really is not much to stop at along most of the I17. 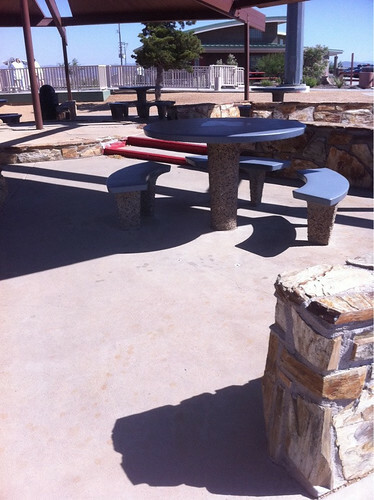 It is a good picnic area and a place to stretch you legs or roll about as a break from the car. It is especially nice that it has a Family/Companion restroom.